Africa is best known as the leading source for diamonds, but the colored gemstone business has been growing rapidly in more than a half dozen different countries. 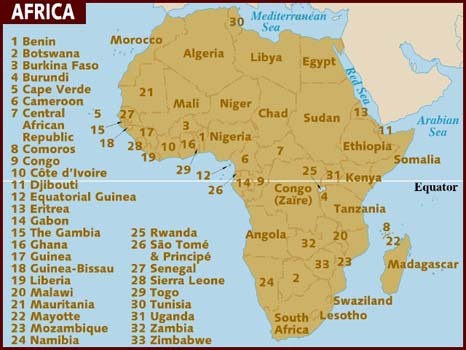 Colored stone deposits are mainly in eastern and southern Africa, especially Kenya, Tanzania, Mozambique and Madagascar. Geologically, this gemstone-rich area is known as the Neo-proterozoic Mozambique Belt. The region at the border of Kenya and Tanzania in east Africa is famous for top grade gems such as tanzanite and tsavorite garnet, and has been extensively mined for more than 30 years. But new gemstone discoveries continue to be made throughout Tanzania, including sapphire, rhodolite garnet and zircon. 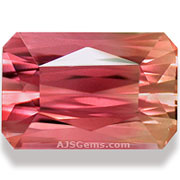 In 2007 a spectacular deposit of neon pink-red spinel was found in the Mahenge area in Tanzania, and many gem dealers regard it as the finest spinel ever discovered. In the last few years there have been some small finds of high quality ruby, but these were quickly exhausted. Tanzanite production continues to be steady and reliable, with more stable prices. Though Ethiopia is not known as a gemstone producer, a major find of high quality opal was discovered in Welo province in 2008. The prices on this fine opal have been very attractive and Ethiopian opal is now a strong competitor to Australian opal in the market. Mozambique, to the south of Tanzania, is producing excellent tourmaline in a wide range of colors, as well as aquamarine. Mozambique has recently become famous for its high quality paraiba tourmaline, and most of the world supply of paraiba is now coming from Mozambique rather than the original source in Brazil. 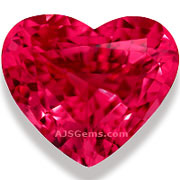 More recently there has been some top grade ruby found in Mozambique, including some material of excellent color that does not require heat treatment. Zambia, just to the east of Mozambique, has become known for its small production of high quality amethyst, and famous for its significant production of deep green emeralds. The huge island of Madagascar off the coast of Mozambique had never been an important source for gemstones. Then in 1998 large desposits of high quality corundum were discovered. The result was a kind of gold rush on the island, as thousands of miners flocked to the mines. Madagascar is most famous for ruby and blue sapphire, but many different colors of corundum have been found there , including pink, yellow, green, white and padparadscha. However, it is not just the quantity and variety of material that has made Madagascar so important as a sapphire producer. Rather it is the combination of the quality and size of the gems, a combination that had not been seen in the gems business for many years. 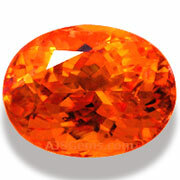 Madagascar has also yielded some new gem varieties, such as the discovery of pezzottaite in 2002. The first blue garnets known were found in Bekily in 1998. Nigeria, the large west African nation, is the one important gemstone producer not in the Mozambique Belt. 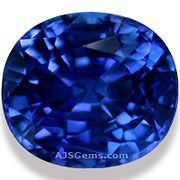 Nigeria has produced respectable blue sapphire as well as large quantities of fine tourmaline. Some of the finest spessartite garnet has also been found there, as well as aquamarine, pyrope and almandine garnet and topaz. Given the state of development in most of the producing countries, we expect African gemstone production to increase in the coming years. But the supply from most of these mines is very limited, and in our experience one has to be an opportunistic buyer when supply is plentiful. Political considerations also play a role. Political turmoil in Madagascar, for example, has resulted in contantly shifting rules about the export of raw gemstones.